Georgia Tech forward Evan Cole (3) grabs a rebound against Louisville forward Dwayne Sutton during the second half of an NCAA college basketball game Saturday, Jan. 19, 2019 in Atlanta. Louisville won 79-51. 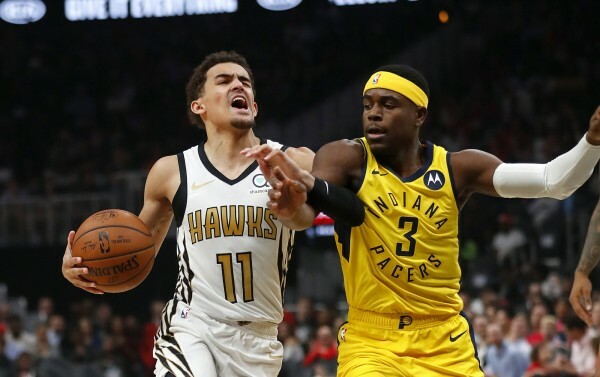 ATLANTA (AP) — Jordan Nwora scored 25 points and continued his hot streak to lead Louisville to a 79-51 runaway win over short-handed Georgia Tech on Saturday. 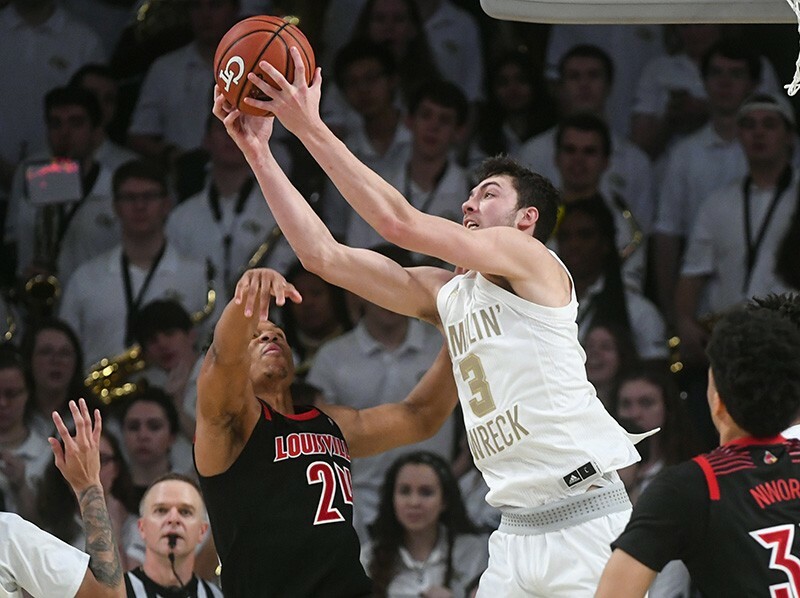 The sophomore forward entered the game as the Atlantic Coast Conference's most improved scorer, bumping his average from 5.7 points per game last season to 18.1. He surpassed that with 21 points in the first half as the Cardinals raced to a 43-16 lead. Steven Enoch scored 15 points off the bench for Louisville (13-5, 4-1 ACC). Malik Williams added 13 for the Cardinals, whose fans were loud in McCamish Pavilion. The Yellow Jackets were without starting point guard Jose Alvarado, their leading scorer who has a groin injury, starting forward Abdoulaye Gueye, who missed his second consecutive game with an undisclosed medical condition, and senior guard Brandon Alston, the team's third-leading scorer who missed his second game for personal reasons. Banks scored the game's first bucket, on a baby hook, but Louisville dominated from there beginning with a 14-2 run. The Cardinals beat the Jackets in a variety of ways, and Nwora was in the middle of most of it in the first half. He made three 3-point shots, threw down a dunk and had an old-fashioned 3-point play to give Louisville its biggest lead, 39-8, with 4:38 remaining. 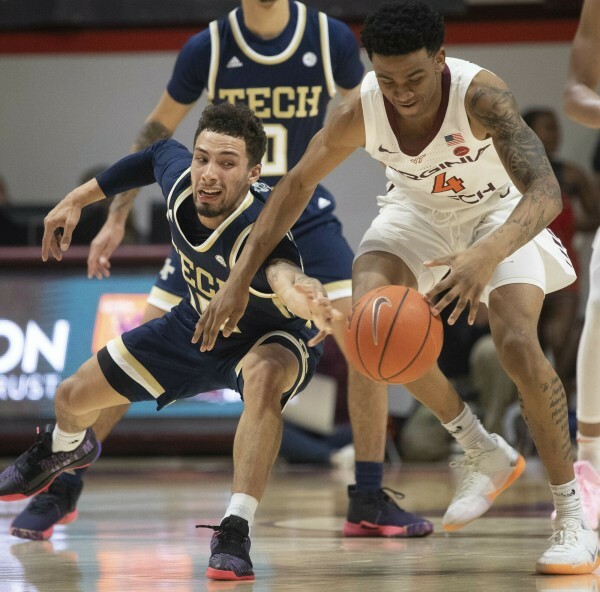 Tech had fits offensively, turning the ball over on seven of its first 16 possessions and scoring just twice while struggling when Louisville double-teamed ballhandlers. The Jackets missed all six of their 3-point shots in the first half when they had 10 turnovers. Beyond Banks scoring nine points on 4-of-8 shooting, all other Tech players combined to make 2 of 16. Louisville: The Cardinals overwhelmed Tech, and their big men did the most damage, especially from beyond the 3-point arc. Center/forward Williams was just as effective in the first half as Nwora (8 of 12) although he shot the ball less. He scored 10 points on 4-of-7 shooting, including two 3-pointers. Georgia Tech: Without Alvarado to run the show, the Jackets were lost offensively and threatened the school record for fewest points scored in a half of an ACC game. 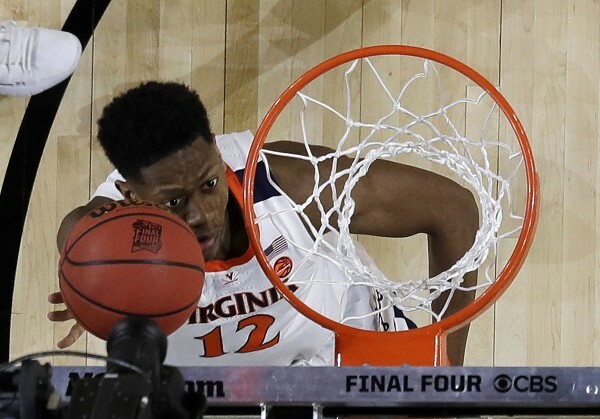 Tech scored just 12 points at Virginia on Jan. 22, 2015. The Jackets had four assists in the first half, and players other than Banks made just 10 of 33 shots in the game. 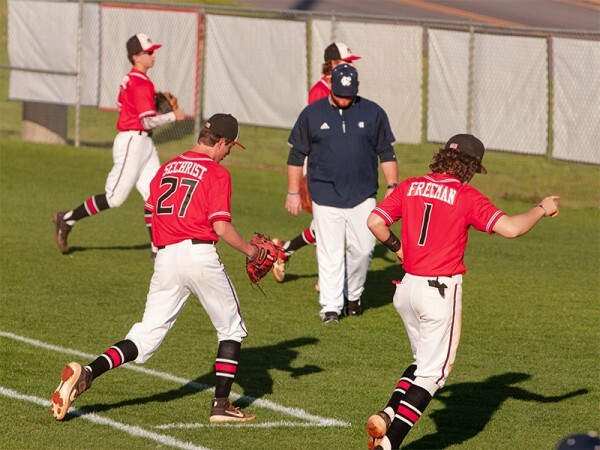 Campbell Melson’s RBI single in the fifth inning would be the game-winning run in a 3-2 win over Athens Christian in a crucial first place Region 8-A battle Wednesday afternoon on the road. 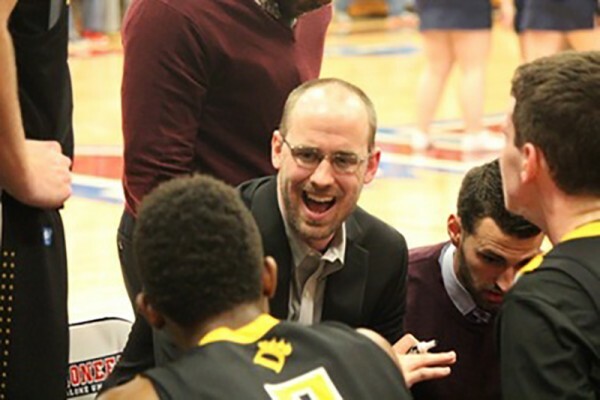 Following an extensive national search, University of North Georgia Director of Athletics Lindsay Reeves has announced Dan Evans as the fourth head men's basketball coach in program history on Tuesday. 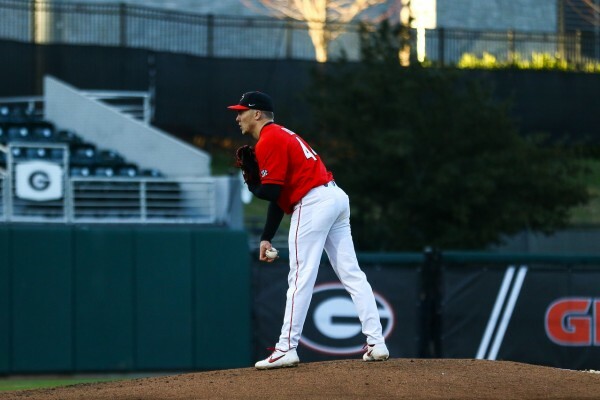 The second-ranked University of Georgia baseball team will look to even the series with archrival Georgia Tech Tuesday at Foley Field. 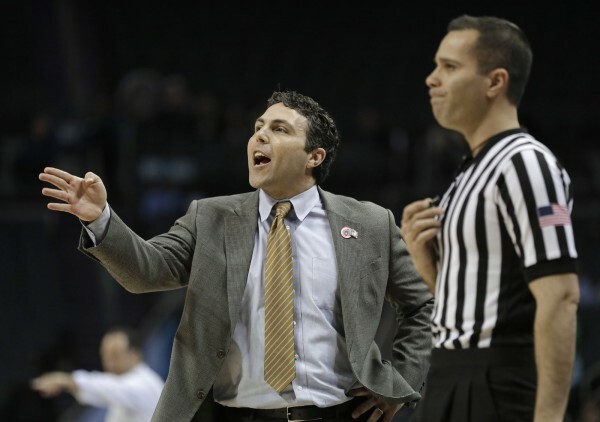 The NCAA has informed Georgia Tech it has found major recruiting violations committed by former assistant coach Darryl LaBarrie and a former friend of coach Josh Pastner. 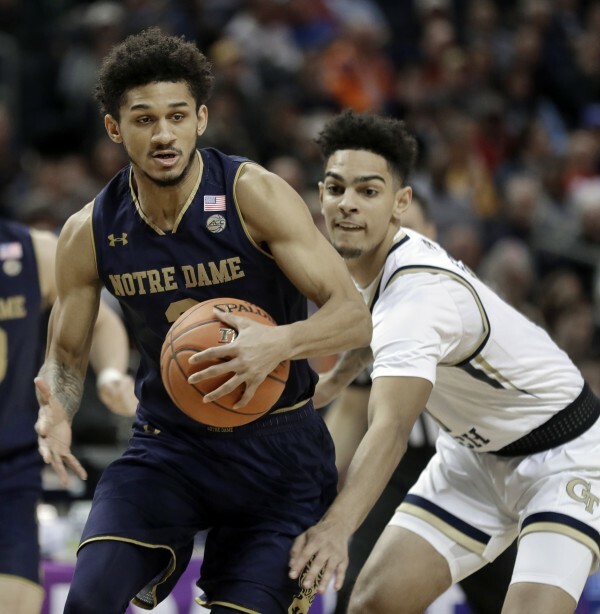 Notre Dame coach Mike Brey has been waiting all season for his team to figure out how to make big plays in clutch situations. 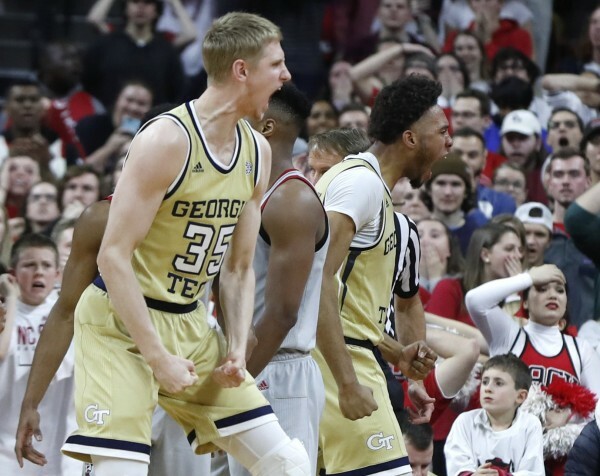 Jose Alvarado raced the length of the court and passed to James Banks III for a go-ahead, two-handed dunk as Banks was fouled with one second remaining Wednesday night as Georgia Tech stunned N.C. State 63-61 at PNC Arena. Mfiondu Kabengele and Terance Mann each scored 12 points, and No. 25 Florida State won its third straight game Saturday with a 59-49 victory over Georgia Tech. 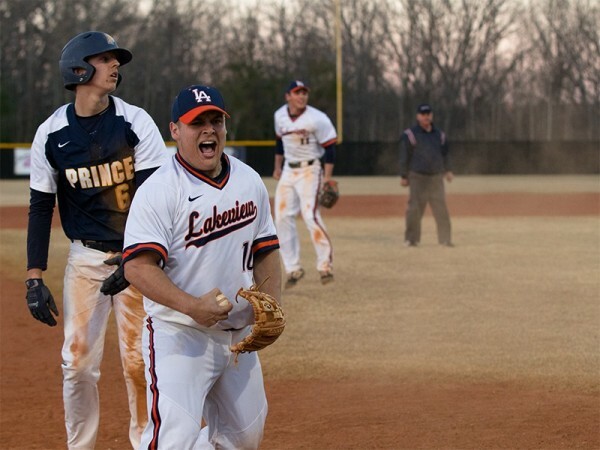 The Yellow Jackets failed to score in the last 4:14.